Did you know there really is a HEALTHY CHOCOLATE? I was shocked to find out myself! So thankful to learn about a cold pressed, unheated healthy chocolate that has amazing amounts of antioxidants and flavanols as well as tasting AMAZING! 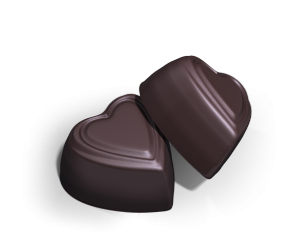 On top of that, this Beyond Healthy Chocolate is Diabetic Friendly, Gluten Free, Vegetarian and low in calories! 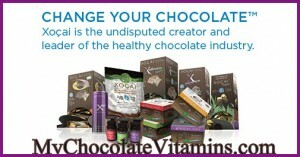 My next favorite is the Xobiotic Chocolate made with probiotics. Taste great and probiotics are so good for you! Order yourself some healthy chocolates today. There are even Healthy Peanut Butter Cups, Omega Chocolates, Chocolate Nuggets and Power Squares which are just 33 calories per piece! Learn more about Well-Beyond and the Beyond Healthiest Chocolate in the World Today! Questions contact Lynette Henk, Well-Beyond curator and member of Three Sons Marketing LLC at 941-216-5727 or visit us at GoColdPressed.com! PreviousHoliday For Chocolate Lovers. Valentines Day Is Here! NextWhere Are You Spending Your Healthcare Dollars In Florida?